Photogrammetry – GIS – STAVINVEX a.s. This is a quick and contactless data collection, which is carried out by using digital cameras. Postprocessing result (cloud of points) is of the same form as the output from a laser scanning. Survey images are processed using the most modern photogrammetric softwares and their algorithms to the cloud of poits and then it is replaced by triangular facets that characterize the shape of the object. Finally, the 3D model is covered with realistic photo textures. 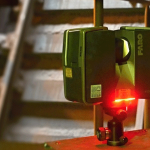 If it is necessary, we can add the laser-scan measurement. Do you need a perfect orthophotomap of an object or site? Do you want to know the cubic capacity of your inventory? Do you need to record and preserve the current state of the subject? Are you missing models for 3D printing? If your answer to any of these questions is “yes”, we will help you with this. Or if you have any complication that can be solved by photogrammetric processing, do not hesitate to contact us. Vyhotovýme georeferencované měřické snímky, které jsou zároveň opraveny o zkreslení objektivu. Tyto snímky lze dále využít stereofotogrammetrickým způsobem. Digital Elevation Model – this is a georeferenced TIFF file, where to each point is assigned a single height value. These models can be used in GIS applications. We will deliver highly accurate digital elevation model with a resolution of up to 0.1 mm / pix and, in case of aerial photogrammetry up to 1 cm / pix. The model consists of a large number of triangular facets, that it is possible to overlay with texture. Suitable as a base for 3D printing. The simplest and most effective display of result for a wide audience. Greatly facilitates any negotiation. We use cameras that meet our high demands on the image quality for our projects. 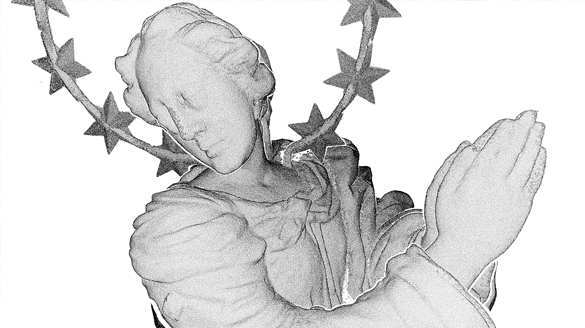 Especially those that meet the parameter of perceptual resolution higher than 10 Mpix. It is determined before scanning whether signaling of control points will be performed, or it will be enough to identify them without signaling. After selecting the appropriate camera, the object is scanned, so the position of images would meet the autocorrelation process. Finaly, the control points are aimed in a desired coordinate system for determining dimensions as well as georeferencing of model. For processing we use a method of the autocorrelation photogrammetry, which can be divided into 3 phases. Finding of identical points on the overlaps of each slide and determining their clarity. Identification of control points and determination of their coordinates – georeferencing to the desired coordinate system. 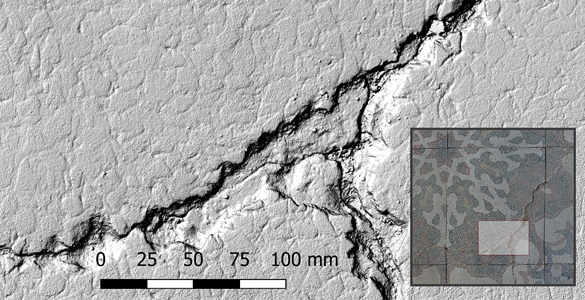 Due to possible submillimeter detail of photogrammetric processing it is possible to carry out very precise deformation analysis. Furthermore, it is possible to accurately specify the coordinates of the center of gravity of individual objects, and calculate the cubic capacity of landfill material. These are triangular facets connecting each cloud points. These areas can be covered with a realistic photo textures. 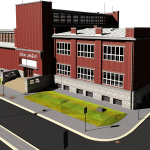 3D models are delivered in many formats: OBJ, 3DS, PLY, COLLADA, PDF, and others. These 3D models can be used as data for 3D printing. 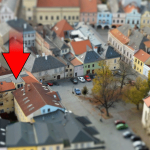 From the 3D model you can render Orthophoto Plan at any scale. There is possibility of resolution per pixel already from 0.1 mm! Orthophoto Plan takes the form of a bitmap file, PGN, JPEG, TIFF, etc. where the size is determined by the size of one pixel. Furthermore we also supply Orthophoto Plan printed in the desired scale. The advantage is its high quality, since it is created by capturing photos. Digital Elevation Model – this is a georeferenced TIFF file, where each point is assigned to height value. These models can be used in GIS applications.